I took a class over the summer called "Motivating the Bored of Education" from Bill Denny. Fabulous class! If you have the chance to take one of his classes, I would highly recommend it. I hope to take his other class this coming summer. 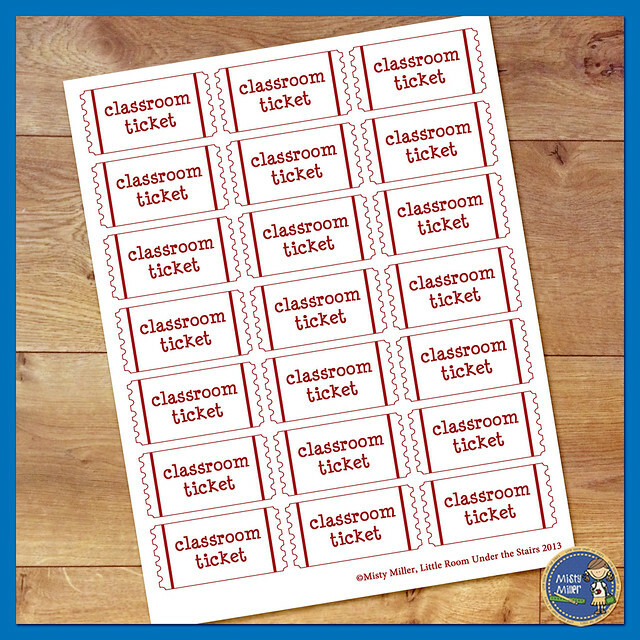 Any ways, he talked about using tickets as a reward system for his students. When I taught elementary age students, I did something similar but they earned money. As we took the class, he gave us tickets for winning the game, answering questions, participating, etc. What fun! Even as adults we like to get things for a job well done. On the last day he had a drawing for some small items and for the grand prize. I won the grand prize which included a roll of tickets. Well it looked like I might as well give the ticket thing a try in my Jr. High classroom. So I've been handing out tickets all year. The kids love it - well most of them. They try to count their tickets during lessons because they are so excited. 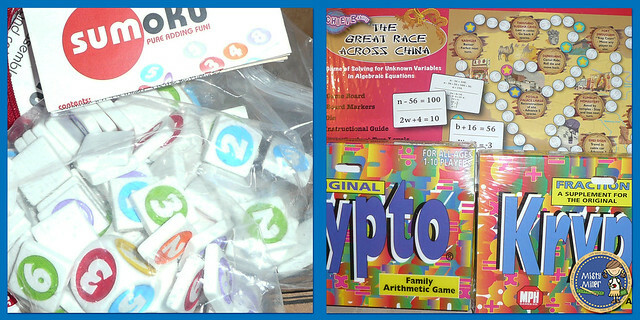 Every 4-5 weeks we have a store to buy passes, candy, pencils, erasers, and other small items. I give them a form to fill out, and they have to figure out the math before they come purchase items. I also do a $5 gift card drawing. 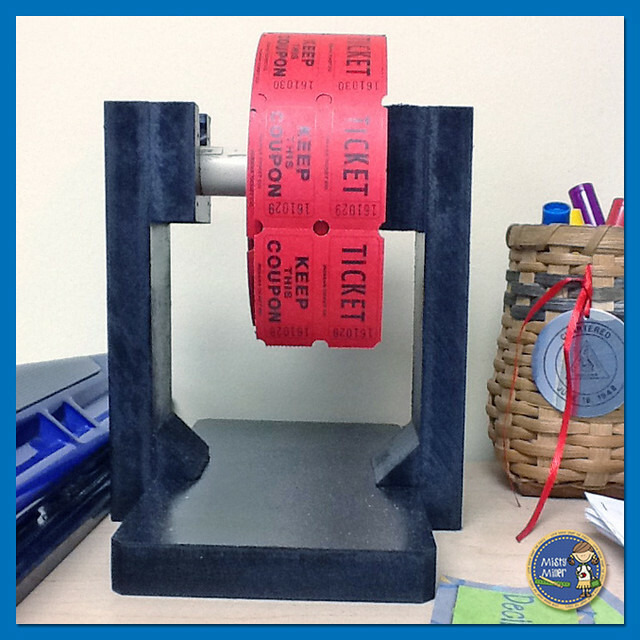 The kids can put as many of their tickets in the drawing as they want. So far, so good. I even lucked out to find some rolls of tickets at a garage sale this summer to go with the roll I had. My husband created this ticket roll holder for me. Here's a free page of tickets if you'd like to give this a try. I've also included a sample of the passes that the student's can buy with their tickets. Just click here to download. Feel free to use them in your classroom. 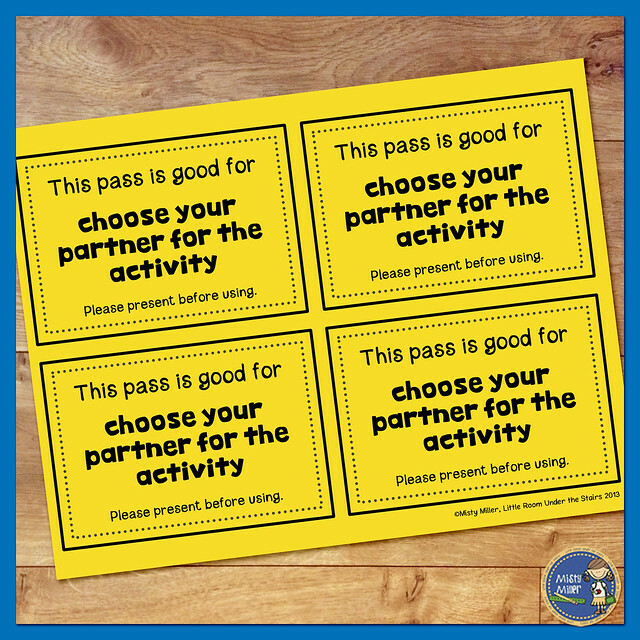 If you are interested in more classroom passes, check them out in my store. What do you do to help with classroom management?